Cartier watches Ballon Bleu Collection is irresistible. The soft round cases are super appealing and have a contemporary, elegant look. The entire collection offers traditional styling, with a flare of the unusual. One of my personal favorites is the W69009Z3 Men’s watch. It features a Blue cabochon crown incorporated with its case. It is crafted of a highly polished steel and 18 carat gold combination. The dial on the Men’s Ballon Bleu is distinctly designed, with a guilloche texturing. It features Roman numerals and sword shaped steel arms. The date window is tastefully displayed at the 3 o’clock mark. 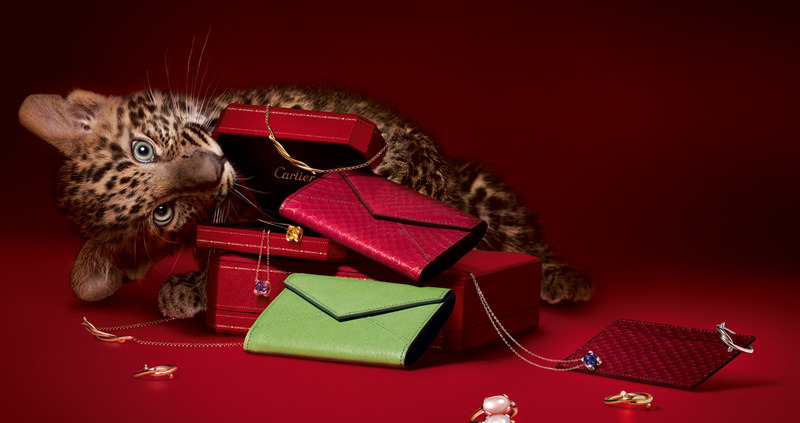 The master jewelers and watch makers from Cartier leave no detail to chance. This watch, along with all Cartier watches is finished impeccably, and crafted of the very finest materials. 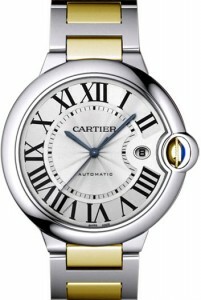 Cartier uses genuine sapphire crystal and solid steel to protect their timepiece. The screw down case back and screw in crown add to the water resistance of this men’s watch, and protects the self winding movement. This Ballon Blue features a two toned steel and gold bracelet, complete with a deployment clasp. It’s no wonder, that Cartier is the famous watch makers they are…The Men’s Ballon Bleu signifies strength, quality, and durability.